Training classes are open to anyone in Indonesia without discriminating at gender, social status, religion, race or wealth. Instructors are all fully qualified. Each instructor is required to pass standardised procedures and qualification evaluations. In larger classes, instructor is accompanied by assistant instructors. 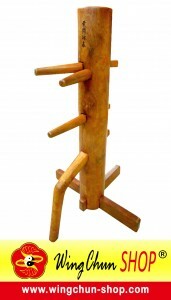 Traditional Ip Man Wing Chun is taught in structured curriculum and methodologies, along with a periodic examination held every 6 to 8 months for progress evaluation. Training classes cover hand and feet basic movements, wing chun forms, qi gong, and practical usage through partnering and chisao. Throughout training classes, disciples are introduced to and are encouraged to abide to the 9 wing chun ethical conducts. Training fees is affordable and training location is flexible. Once a member has paid the monthly training fees, they are welcomed to practice in any TIMWC official sub-divisions and affiliations anywhere in Indonesia.